Tennis elbow, painter’s shoulder, jumper’s knee — all of these terms describe various forms of tendonitis, a condition that causes nagging pain that can prevent you from enjoying the activities you love. 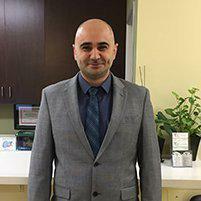 At Arthritis and Rheumatology Center, Tony Makhlouf, MD, FACR, has extensive experience treating tendonitis with new platelet therapies, among other treatments, allowing his patients in Simi Valley, California, to get back to a pain-free existence. To learn more, call or book an appointment online. Your tendons are cords of tissue that attach your muscles to your bones. In this capacity, your tendons play a critical role in your mobility. When your tendon becomes inflamed or irritated, it brings on a condition known as tendonitis, which is primarily marked by pain. The most common symptom of tendonitis is pain, especially localized pain at the site of the inflammation or irritation, and when you’re using the tendon. The pain can be intermittent and severe, or dull and throbbing. You may also experience limited range of motion and some tendons can even freeze up entirely, which is the case with frozen shoulder. PRP, or platelet-rich plasma, therapy is fast gaining acceptance in the orthopedic world as a viable treatment for tendonitis and other musculoskeletal issues. PRP taps your body’s own amazing resources to speed up repair and new cell growth. Here’s how it works. Your platelets are largely responsible for clotting, but they also contain a large number of proteins, or growth factors, which aid in healing. With PRP therapy, Dr. Makhlouf draws your own blood and, using a centrifuge, separates out your platelets, creating a concentrate that’s 5-10 times richer in platelets than normal. He mixes the concentrate back in with your plasma and injects the solution into the area you want to treat. From there, the platelets go to work to heal your body more quickly than they were otherwise capable of in smaller numbers. What are the other treatments for tendonitis? In addition to these treatments, he also recommends that you try to minimize the use of the tendon as much as you can to allow your body to heal. If tendonitis is causing you nagging pain, call Arthritis and Rheumatology Center to learn about available treatments. Or, use the online scheduler to book an appointment.